The RGWMOFS38-25H4 UTG Leapers Accushot 1-Pc Offset Mount With 1" Rings Fits Weaver/Picatinny rails. 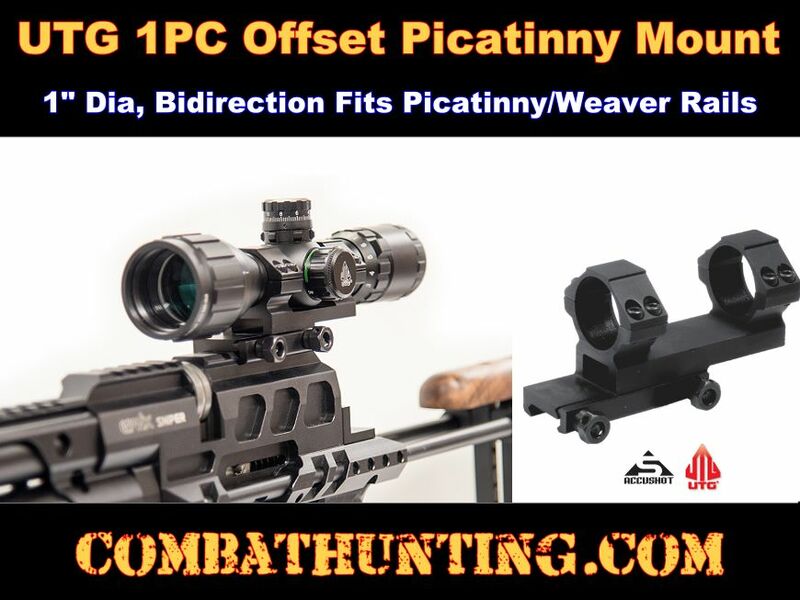 Cantilever Offset Picatinny scope mount is precision maachined from aircraft-grade aluminum alloy with hard black anodized matte finish. This Bi-directional Offset Scope Mount fits 1" scope tube diameter with objective up to 56mm and the 38mm bi-directional offset provides comfortable extended eye relief range for long rifles. Integral base provides added security and stability, reducing recoil and enhancing shooting accuracy and performance. Saddle height 0.84". Limited lifetime warranty.